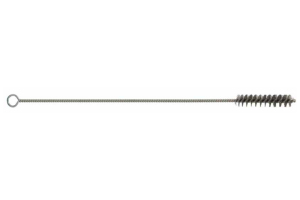 Tanis manufactures Twisted Wire Hand Held brushes with a single-stem, single-spiral brush construction with a loop end. This brush is ideal for manual or hand cleaning applications in the industrial, laboratory and food service industries. We carry many standard Twisted Wire Tube products with high carbon steel, stainless steel or brass filament and with various length and diameter specifications. 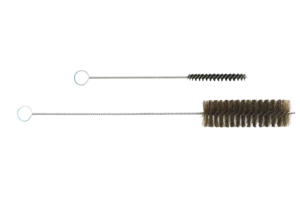 You can contact our engineers to help you navigate among the many available options in wire brushes.